The 0415-004 from Axis is a compact and easy to use 4 channel video encoder with good video performance. It can simplify migration to network video without upgrading existing camera systems. AXIS M7014 provides edge storage through a microSDHC memory card slot. 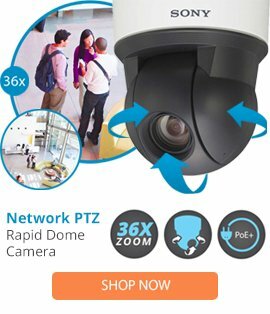 It supports all types of analog cameras including PTZ (pan/tilt/zoom) and PTZ domes. The video encoder features both RS-422 and RS-485 for controlling analog PTZ cameras. AXIS M7014 is perfect for small and medium analog video installations, especially where an IP network infrastructure is already in place. It is designed for installation close to the cameras. Its size also makes it ideal for use in discreet surveillance applications, for example, in retail stores and banks, and in camera housings.AXIS M7014 is powered by Ethernet using the same cable as for data transmission, which simplifies installation. A power supply is also included in the package.